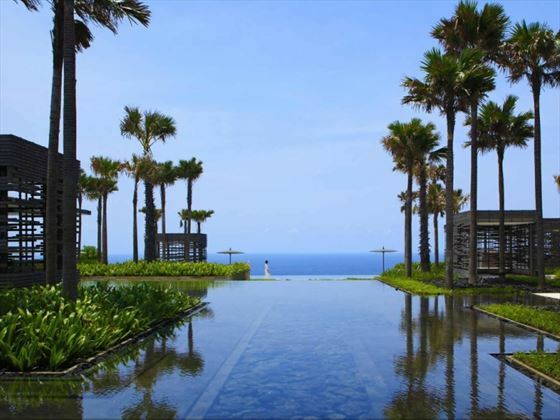 Serenity and tranquillity can be found at Alila Villas Uluwatu, a beautiful collection of villas perched along a cliff plateau and overlooking the endless Indian Ocean. 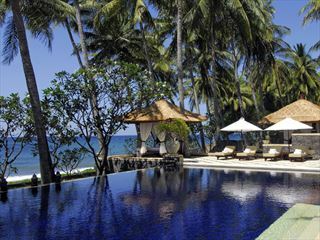 Adopting the Bali sensibility of calmness and natural beauty, these first-class villas are the perfect place to indulge. 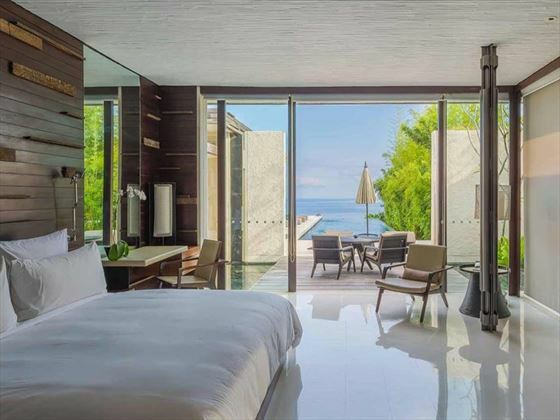 Choose between a one, two or three bedroom villa, all with an airy open-plan design, and created with flat lava rock and bamboo. 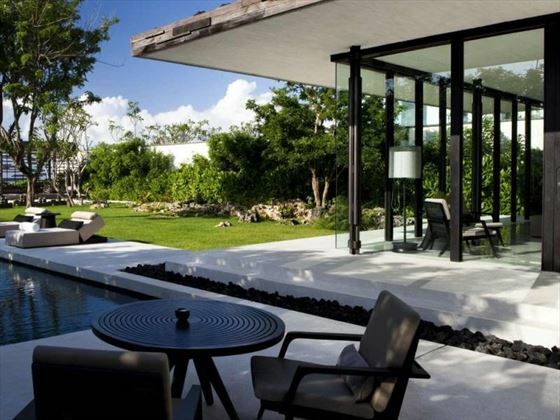 The light floods in through the floor-to-ceiling glass walls, creating a wonderful sense of calmness, whilst each private pool offers the ideal place to take a refreshing dip and take in the views. 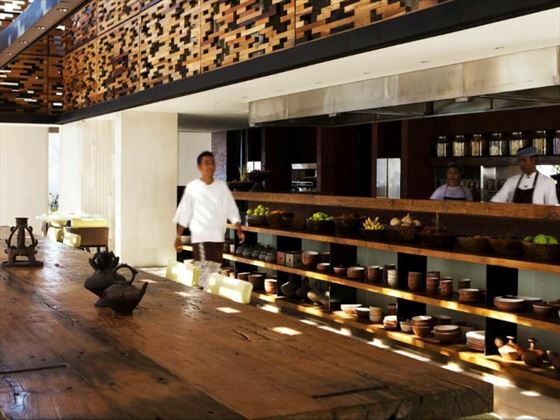 The restaurants here focus not only on decadent, seasonal cuisine, but also on the joy of eating with family and friends. We love Quila, a unique restaurant where the plates are small but the flavours really hit you, whilst Cire is a laidback oasis brilliant for evenings spent sharing food and talking well into the night. 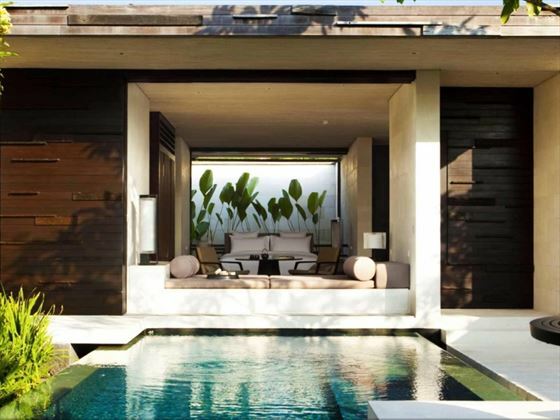 These stunning villas are dotted along the southern coastline of Bali’s Bukit Peninsula. 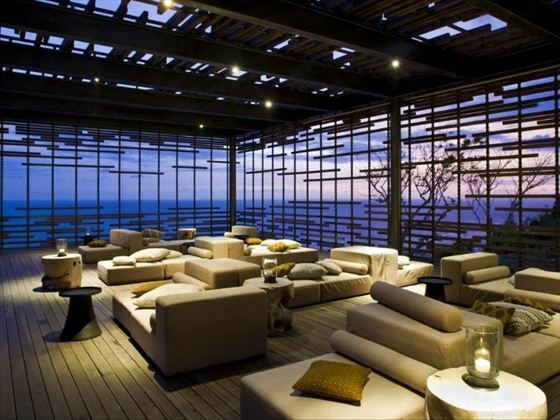 With soaring cliff faces and the sparkling Indian Ocean as its backdrop, we’re sure the location will take your breath away. 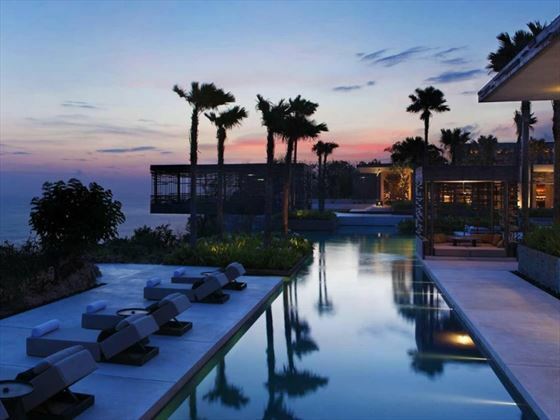 One Bedroom Pool Villa – Gorgeous and airy open-plan villas with one bedroom, a private cabana overlooking the ocean, and a private swimming pool. Sleeps a maximum of three adults, or two adults and one child. 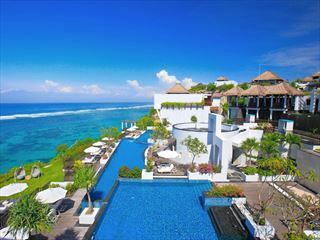 Two Bedroom Pool Villa – Spacious and contemporary villas featuring two bedrooms, a private terrace with a pool overlooking the ocean, and wonderfully eco-friendly furnishings. Sleeps a maximum of four adults. 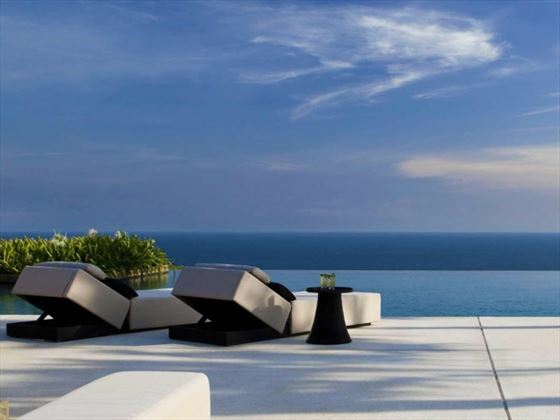 Three Bedroom Pool Villa – Perched on the cliff edge, these villas feature a beautiful infinity pool, a private cabana, and bright, modern amenities. Sleeps a maximum of six adults. 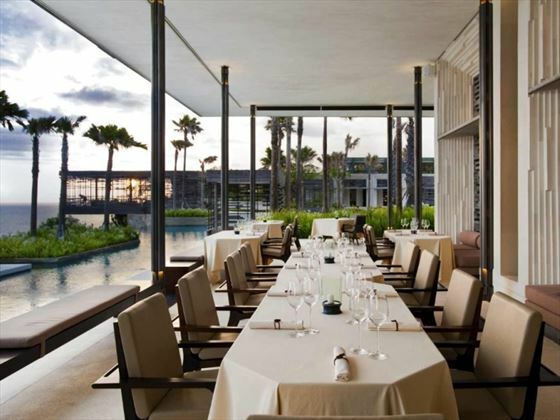 Cire – A gorgeous restaurant with wonderful ocean views, serving fresh and seasonal gourmet food, including traditional Asian fare and international sharing plates. The ambience here is social and laidback. Open 7am-10pm. Quila – Indulge in a unique dining experience at this sophisticated eatery, offering a daily changing menu full of diverse small plates designed to pack a powerful punch of flavours. Open 6pm-10pm. 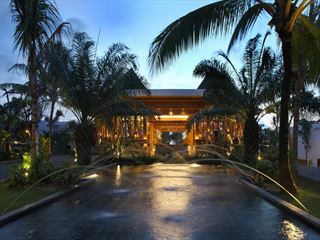 Spa Alila offers a holistic approach to relaxing and rejuvenating. Each of the local therapists offer a modern twist on traditional Asian treatments, including massages, body scrubs, and meditation classes.